I really wanted to do something special in time for Valentines Day this year. 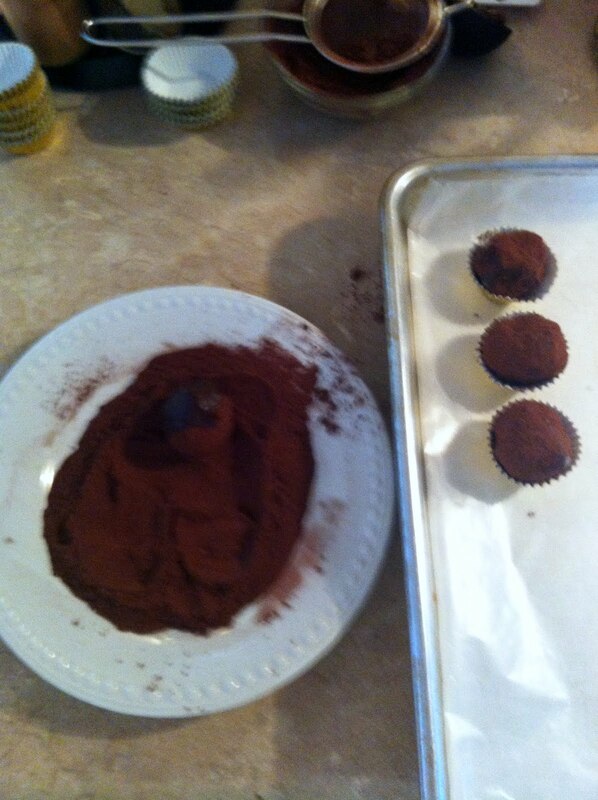 Since I bake all the time (pretty much), I decided to give a try to making truffles. I do recall trying it a few years back and not really having much success. 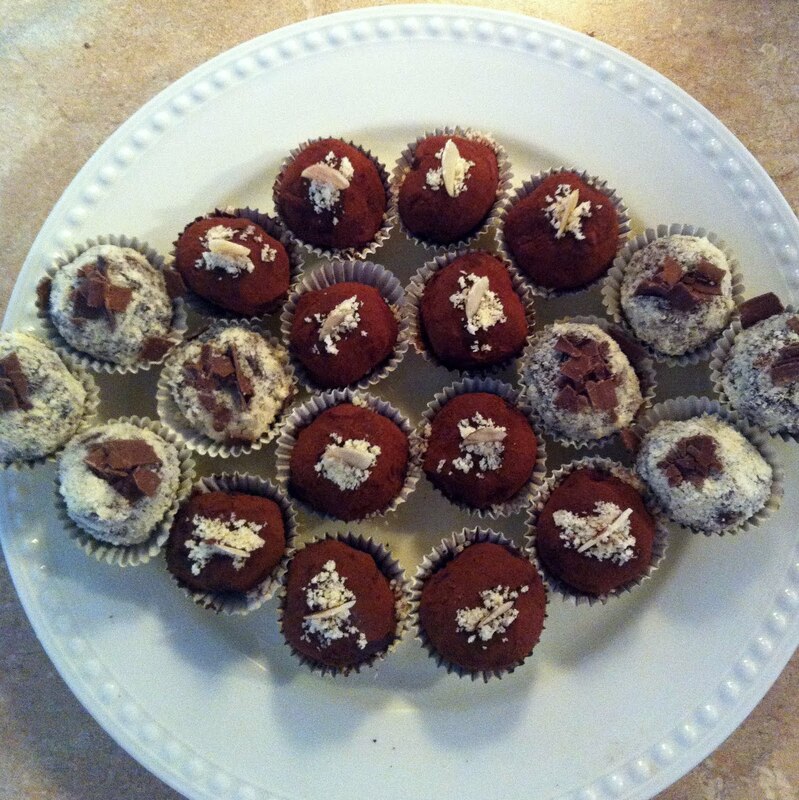 But this time – with a little bit of patience – they turned out great! I have developed a habit of laying out all required ingredients first – regardless of how many of how few there are. It really makes the task easier. 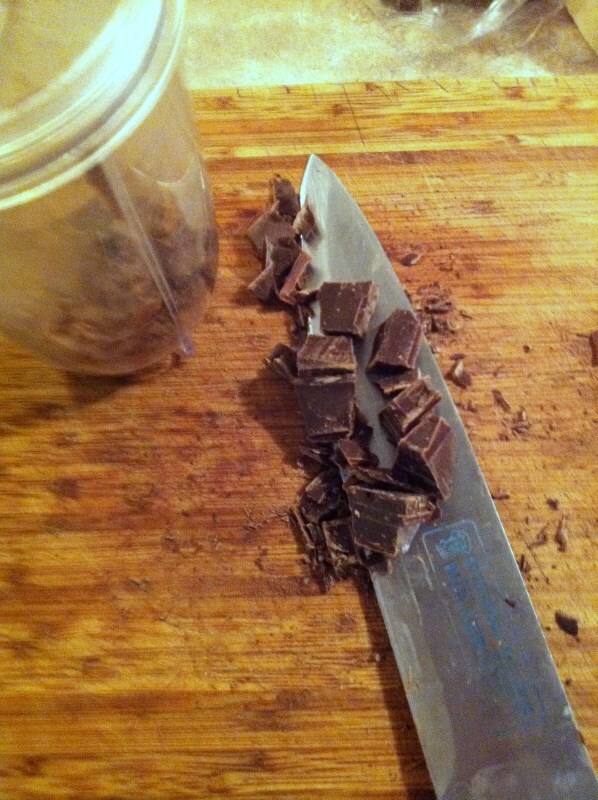 I used sharp, heavy knife to cut large chocolate pieces into smaller ones first. 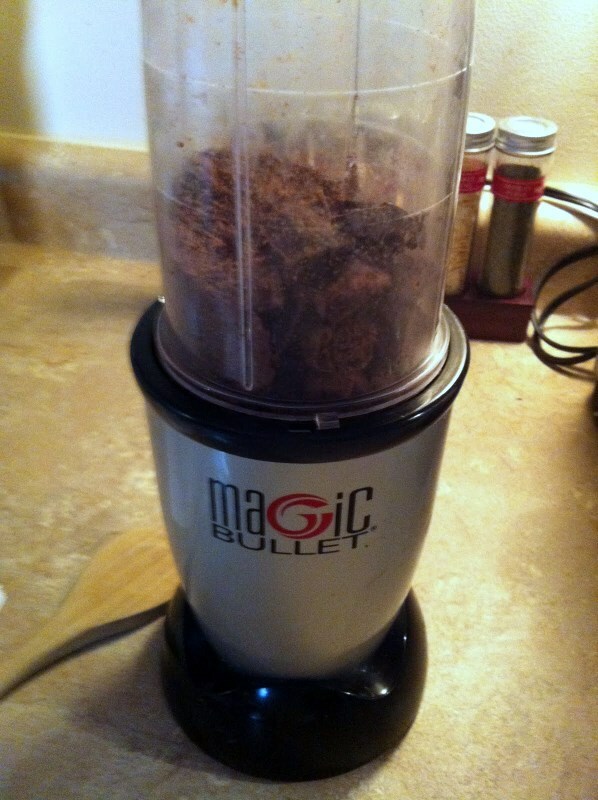 Using my Magic Bullet is a great help in the kitchen – it is fast and easy to clean. 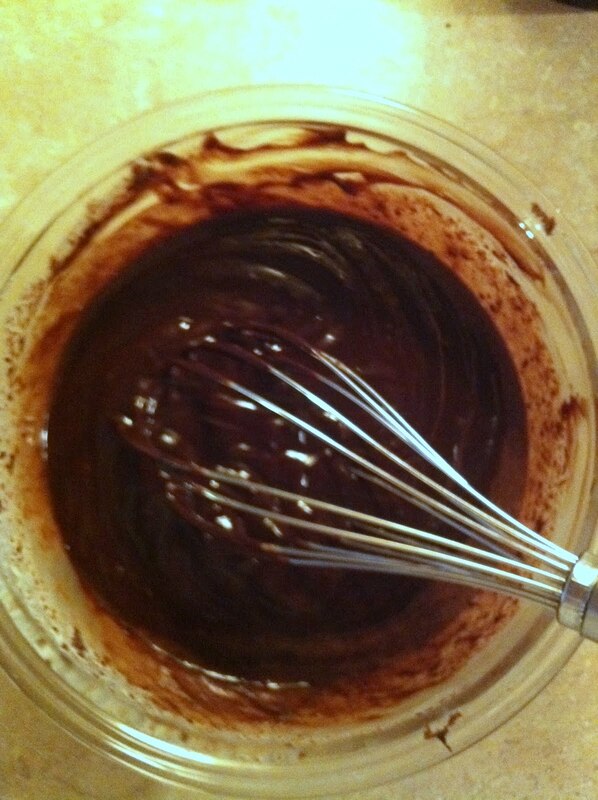 The finer pieces you chop the chocolate into, the faster it will combine with your cream. 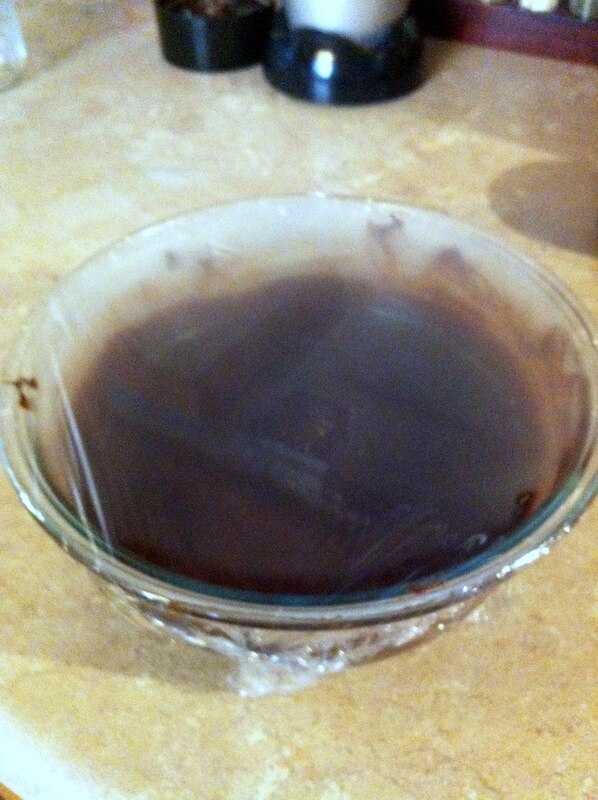 Pour the boiling cream over chocolate and whisk until uniformly mixed. 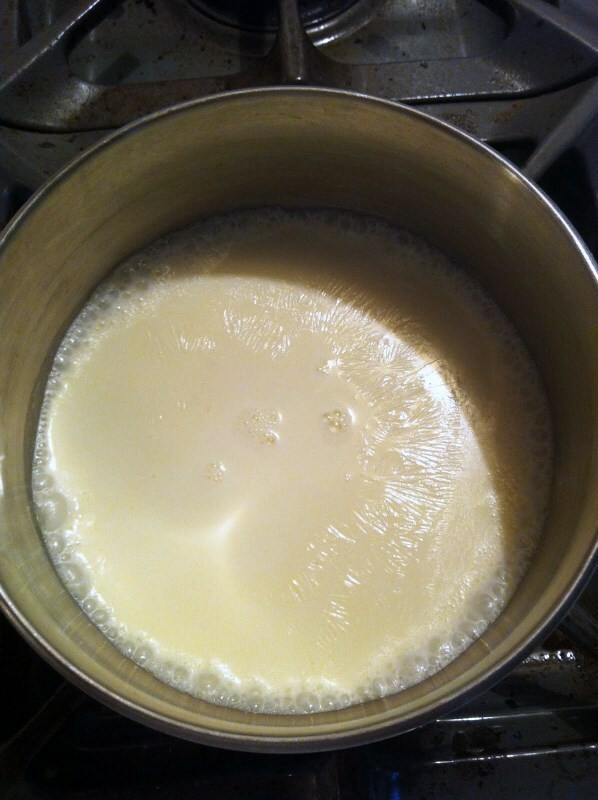 Let stand for a while, until the mixture cools to about room temperature. Cover with plastic wrap and out into your fridge to cool for a minimum of 3 hours. 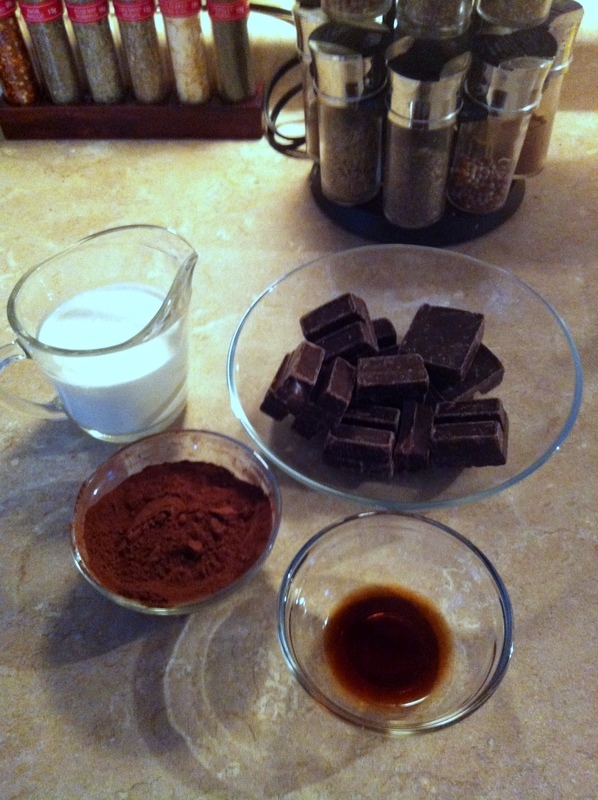 I did this overnight – made the mixture night before I was ready to finish my truffles. Form small balls from the truffle mix (this will be messy so get ready to wash your hands in between rolling the truffles) then roll them in the cocoa. I used little gold candy cups to place them in. 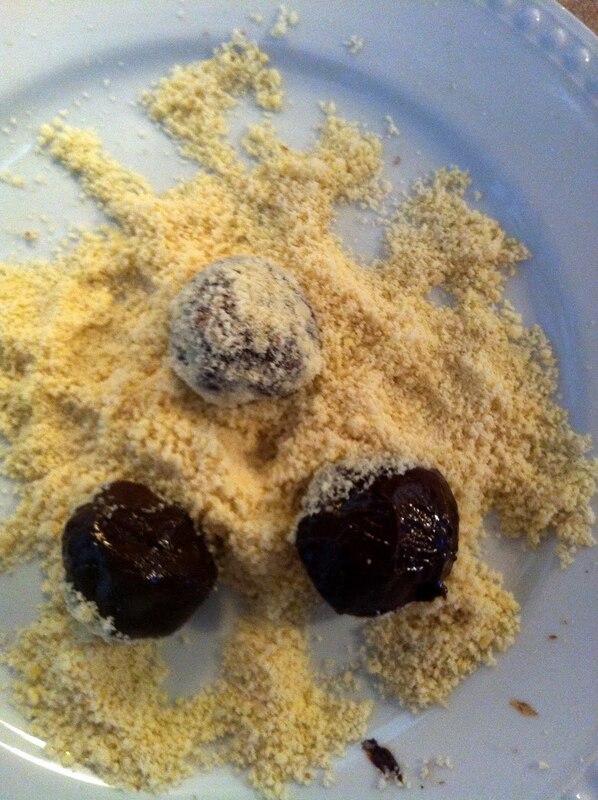 Half of my truffles were coated with cocoa – the other half with ground almond. Then I place a slice of almond on the cocoa coated ones and a few chocolate slivers onto the almond coated once. 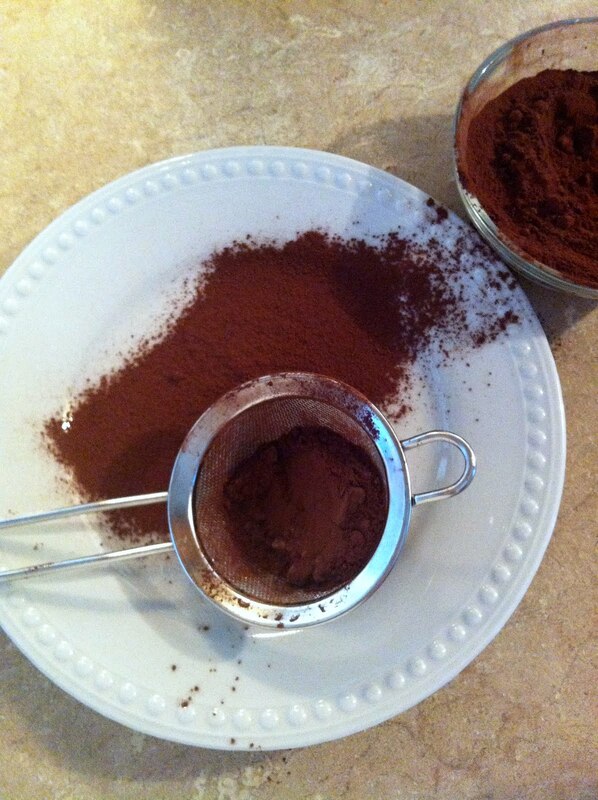 I hope you will try these – making your own handmade truffles and getting creative with the finish can really give you a great sweet gift to share on Valentines Day!